Imagine you’re a gopher tortoise settled nicely in your burrow. You’re trying to get out because you're hungry and dirt is falling from the top of your burrow. You finally get out. You finally realize they’re building a mall and tearing down your habitat. 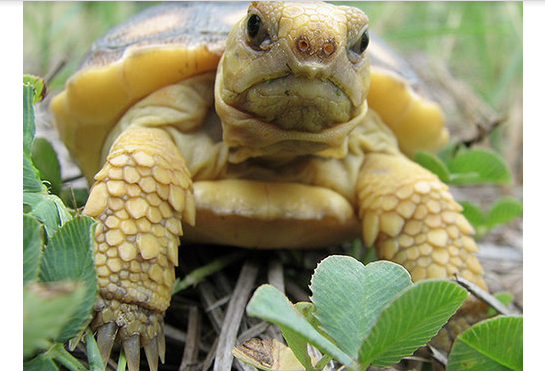 Gopher tortoises eat many things but only plants because they are herbivores. They eat things such as fruits, leaves, shrub, asters, legumes, daisies, clover, pawpaw, peas, cat briar, blueberries, palmetto berries, stinging nettle, prickly pear cactus, and pine needles. Now, you might think that if you ate some of these items that you would be SUPER thirsty but gopher tortoises SUPER rarely drink water because they get their water from plants and dew. You probably think that gopher tortoises live in most of the U.S.A. but I’m sorry to tell you but you’re incorrect. It is very strange gopher tortoises live in the South east. They mostly live in the plains of Georgia and Florida. But in Louisiana there is very little also very little in Alabama, South Carolina and Mississippi. The gopher tortoise originated in North America almost 60 Million years ago.The reason why they don’t go to Tennessee and California is because their habitat is the L.L.P.F. Longleaf Pine Forest and it is endangered which is why my topic [The Gopher Tortoise] is endangered. Habitat loss and diseases are the two main threats to gopher tortoises. Don’t worry the disease is not contagious to humans but SUPER contagious to gopher tortoises. The disease is called U.R.T.D. that stands for Upper Respiratory Tract Disease. The symptoms for this disease is a clear or white nasal discharge and watery eye lids. But some can be silent carriers which mean they have U.R.T.D but don’t show any symptoms. U.R.T.D. was found in 1991. 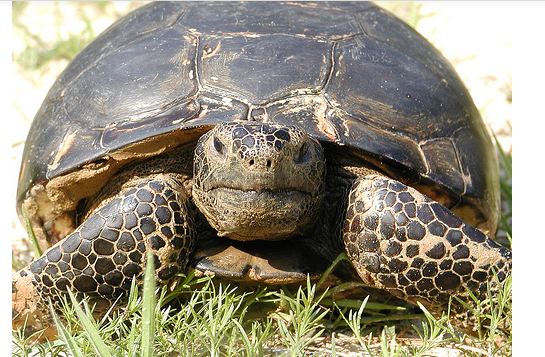 A gopher tortoise with serious cases are unable to feed and die of starvation. Now the habitat loss, they are building houses, malls ,barns Etc. with the longleaf pine trees. They are using the wood for houses, Malls, barns, Schools. Etc. and they also cut down trees for more space to build. In 1990 they estimated about 800,000 gopher tortoises in Florida. In 2003 they estimated about 20,000 gopher tortoises left. Now, could you help save them by telling your friends about this website? Wherever you live or your friends live [even in California] send them this website and get them aware about the gopher tortoises. Have them work with agencies and county and state elected officials on saving the gopher tortoises. SAVE THE GOPHER TORTOISES! nasal discharge- Snot that comes out.